She shoots, she scores, she wins! The Double Dribble Basketball Inflatable Game is a sure WIN for your party! This interactive inflatable game is designed for two players, but is also perfect for those wanting to play in teams. The combination of games is only limited by your imagination, so this is sure to provide lots of competitive entertainment for all your guests. We provide the inflatable hoop game and mini basketballs, and all you have to do is provide the fun. Safety is our top priority, above everything, EVEN FUN (sorry, kids!). This interactive inflatable game will have users tossing basketballs at the hoops, so to create a safe environment we ask the participants to stand at the base of the ball return while playing and not on the sides or behind the unit. Don’t let your party foul out! 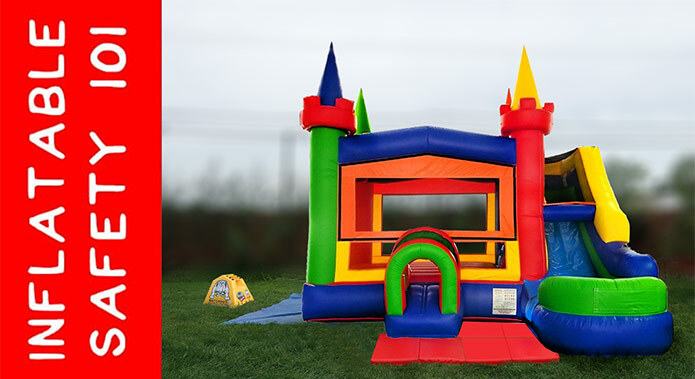 Take the Double Dribble Basketball Inflatable Game to the hoop and make your next event a slam dunk!